Each month A Muse Studio offers a special selection of products, the monthly collections are small, curated collections that typically include 3-4 stamp sets, some dies, custom paper packs and other accessories. For the month of October it’s all about Halloween! I made this first card using the Do You Believe in Magic stamp set, stamping the words in Hibiscus ink and then offsetting it slightly and stamping it again in Toffee ink for a shadow effect. 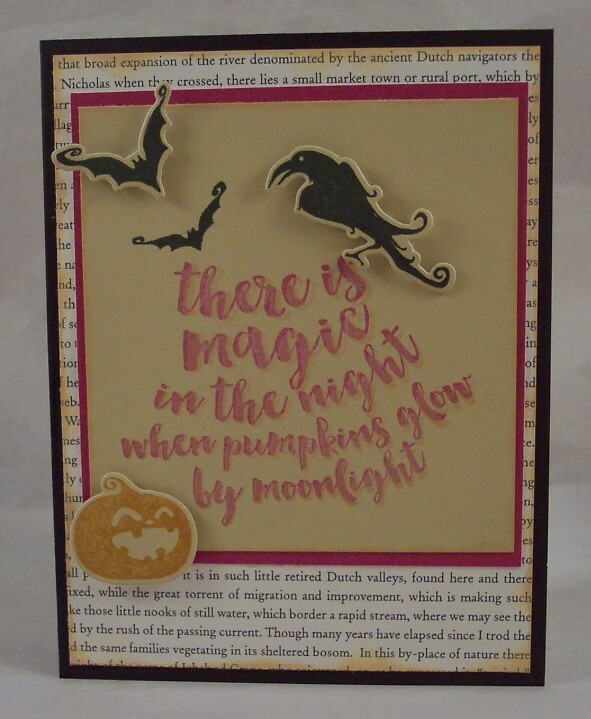 The crow, pumpkin and one bat were die cut using the Do You believe in Magic matching die set. All the cardstock used is from the Black Magic Paper Collection. Next I made some adorable treat holders with the Candy Package 2 Die wrapped around small chocolate bars. The stamps are from the Do You Believe in Magic stamp set. 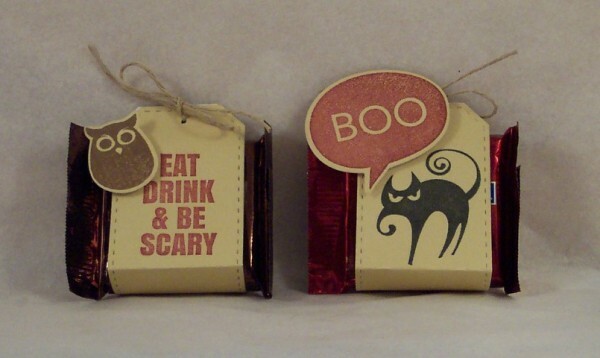 How cute would these be to give the trick or treaters, teachers or co-workers? Lastly I made this fun scene card using the Landscape die set (found in the regular A Muse catalog), cut with Petite Polka Dot papers. 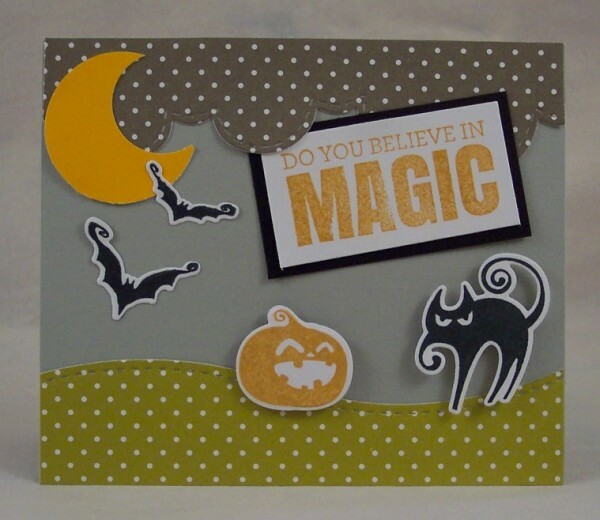 All the stamps are from the Do You Believe in Magic stamp set and were die cut with the coordinating die set. Click here to view the entire October collection and contact your local A Muse Studio consultant to place an order but hurry, they are only available for a limited time!